Our support system is constructed from lightweight aluminum, yet it is one of the best heavy duty background support systems you could find. 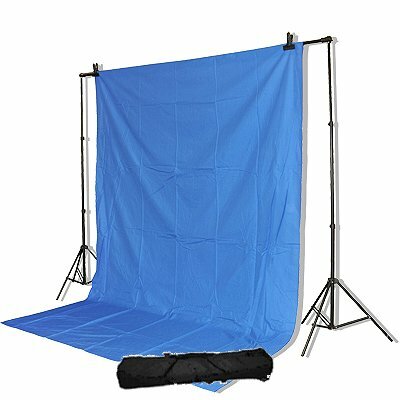 This background support system is ideal for location, studio photograph or home studio. This set is perfect for home studio where space is limited. It could easily adjust the width. This support system is light weight that makes setup easy. It will hold canvas, muslin and paper background easily. View More In Background Support Equipment. If you have any questions about this product by Weifeng, contact us by completing and submitting the form below. If you are looking for a specif part number, please include it with your message.